Everyone loves the luxury of having an internet connection without the stress of carrying wire all about! Wireless router is what makes this possible and this technology has come to stay and grow. More than anything, the ease of access and it usefulness is unmatchable. Wireless router allows you to share internet connection between many devices in an area. You can share connection between your phone and your computer adding your printer in the mix while not forgetting your sister’s laptop in her room plus that of your wife/husband or your wonderful teenage kid in his room who wants to surf the internet or do his homework. With advances in technology comes more sophisticated wireless router which offers increased speed to enjoy downloading videos and other large files online. Wi-Fi technology is changing and expanding rapidly to keep making our lives easier. 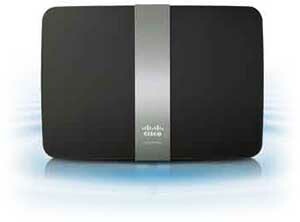 All Wi-Fi routers are made compatible to meet new Wi-Fi technology standards. Therefore the new Asus RT-AC66U router is made to support the latest 802.11ac Wi-Fi standard to provide with best performance and excellent speed. Asus RT-AC66U is a gigabit Ethernet router that features 5G Wi-Fi 802.11ac connectivity which delivers data at an extremely high speed (1.3gbps which is 3 times faster than current wireless N speeds).It is simply great for doing tasks that require high bandwidth like playing games, watching HD movies and so on with support of new IPv6 for packet transmission and addressing. This router does not solely features the 5 GHz band, but also features 2.4 GHz to make it compatible with current wireless N devices with up to 450Mbps speed and when combined with both bands gives you 1.75 Gbps high speed. The router ensures maximum coverage and strong signal strength with its ASUS AiRadar technology that makes it easier for you to have access no matter where you are at home be it basement or top floor of your home. Asus with its RT-AC66U is truly made for providing you with excellent Wi-Fi for use whether at home or business. It is easy to setup and run for every user even the less tech-savvy. It has user optimization to give you personalised experience and with ASUS QoS (quality of service) it lets you set bandwidth priority according to your use of applications and task. One of the many extensive features of this router is download master that makes all downloads convenient when you turn of your PC. And other extensive features are parental controls, access to SSIDs, traffic monitoring, URL filters. Asus RT-AC66U apart from its speed and performance is also multifunctional as it has two USB ports to share files, print, connect to 3G etc .It has gigabit Ethernet ports to give you fast and reliable performance and has full DLNA compatibility for smooth connectivity. The design of this router is stylish and slim which will blend well with your home and office interiors. It consists of stand and has 3 external antennas for greater signal reception. When you get unbelievably high speed, high performance, stylish design and extra features then price is will also be high. Asus RT-AC66U drawback is that it is comparatively expensive than other routers in market. And also it runs hot due to tasks it performs. Lastly, Asus RT-AC66U is ‘must have’ for its outstanding performance, speed, design, and features. It is simply worth for what it costs and I suggest you buy one soon. Compare to other top wireless router, I think the Asus is the best one, please see there specs comparison, you will know the Asus RT-AC66U is the best one. There are many benefits to a wireless router which one must know like the convienience, mobility, security, freedom, affordability etc. A wireless router has multiple ports to connect computers and other network devices with great ease. With a wireless router one can access internet anywhere on their device like Smartphone, laptops, tablets etc depending on the strength of wireless signal. The range is wider with a wireless router as it can provide internet to a device without any physical obstructions like ceilings, walls, buildings and so on unlike in wired networks where you need a cable wire. A wireless router also provides security from harmful data, threats, viruses and other malware as it contains hardware firewall. It can be used to make VoIP calls to anyone and anywhere in world. It facilitates digital TV. Its cost is affordable and less than wired Ethernet network .Also wireless routers are very easy to install and operate too. For many getting the right Wi-Fi router for home use can be difficult because one need to have all the prior information about its features, range, and signal strength and so on. And it is Linksys which is one of the best Wi-Fi router providers in market today. No one can go wrong with its new Linksys EA4500 packed with advanced features and stylish design. Linksys EA4500 is the latest and more refined model of the Linksys EA series. This model has a speed of 450Mbps which is great for streaming videos, sharing files and all those applications which require high bandwidth speed, be it a 5GHz or 2.4GHz band. It comes with a USB 2.0 port which can host as a printer. The USB when used as an external storage device for its network attached storage (NAS) function has the capacity to host 50guest clients making the router as a fast processor for network storage. The router has Wi-Fi protected setup (WPS) feature button along with a reset button. This model uses wireless-N technology which creates robust signal that travels faster and at wider range with minimum dead spots to provide you the best network for use no matter how far you are from the router at home. I am beyond impressed. I’ve never owned an Apple product, but now I see what the big deal is all about. I saw the good reviews on the Airport Extreme, so I decided to go for it. I’ve had some horrible experience with other modems and wireless routers in the past. Trust me when I say, you get what you pay for. I tried a few cheap $59.99 wireless routers thinking it would allow me to play my xbox and use my computer. I was sadly mistaken. The speed was so slow. It was very frustrating. I went through 3 or 4 different brands before buying the Airport Extreme. The speed is phenomenial. My internet is 20 times faster at home than it is at school and work. That’s amazing. I love that I have the ability to share wifi with my friends. I have a separate password setup for guests, so no one can access my private files. The fact that 50 people can use my router at the same time is incredible. I could literally let everyone in my apartment use my wifi and still have super fast speeds. That’s insane! Since it uses 2.4 Ghz & 5 Ghz at the same time, the performance in speed is far superior than any other routers I’ve ever had. The technology that Apple is known for, is evident in the Airport Extreme. I have received the the R6300 three days ago. Before purchasing and using this one, I have had a 4 years past experience with routers, including my WNDR3700, Netgear WDR3700 and, the most recent, two Asus RT-N56. First thing I was pleased with after starting to use R6300 was how easy it was to set it all using it’s web graphical user interface. After setting up and testing it’s range, I’ve found out that it had no issues at all covering the whole house, I could even get weak signal 20 feet outside my house. – First of all, to pay attention to speed, range and performance in 5 Ghz band. I rate it as excellent, though not significantly, it does perform better than the other competing routers I’ve tried previously that are using this band. This was the most important element for me. I found out that it can provide very high download speeds that none of the other routers could handle. I was able to achieve up to 22 MB per second downloading speed at about 15 feet distance. Previous ones I’ve used topped around 10MB/sec at the same location. – Now, the review of range, speed and performance in 2.4 Ghz band: The range is absolutely amazing. It covers my entire home, plus I can catch weak signal with even 10-15 feet distance of my home. The router is able to handle my three 1080p IP streaming at once while maintaining a good frame rate. Incredible. Though, I have noticed that some of clients experience low throughput for some reason. I would guess that older clients seem to have performance issues, maybe all it needs is a firmvare fix. – Setup: Easy and simple for both technical and non technical users. – Size: this router is approximately two times bigger than any previous I have owned. It’s quite huge considering the standards. – Guest Network: It’s true, it IS available, but incredibly basic and simplistic. Lacks many features competitor routers have. – Sometimes, some clients won’t reconnect after the restart. – UI in the administration panel is looking decent, nothing special, but highly functional. Though, I had some issues with it in the beginning. – The administration panel locks up after one minute of inactivity, after which you need to re-enter your username and password. This could be incredibly irritating, specially when you are trying to troubleshoot. – You HAVE to install the tool on your pc, there is absolutely no option for web administration on management in the user interface. – This is the first router I have ever used that doesn’t have WEP setting. All in all, I am very satisfied with my new purchase. I will continue using it in the following months and if it keeps up this performance, I’ll be more than happy. • You can operate the stored information and modify your personal home network from any part of the country through a browser or mobile apps. • This Wireless Router possesses latest devise of 802. 11AC Wireless Technology. • The dual USB ports at the same time allocate storage and printers. • High power amplifiers are used for the final range. • SpeedBoost mechanism is used for enhancement of the strength of the signal. • SPI Fireall and WPA2 Encryption have been combined to offer the best result. • Four 10/100/1000 gigabit Ethernet ports are meant for speedy wire links. • The media server certified by DLNA has made the product highly acceptable. • The product features Quality of Service for agreeable HD video for providing backing the storage of data. • This Wireless Router is enabled by IPv6. Linksys EA6500 Wireless Router – AC 1750 Dual Band Gigabit (R6300) can be used anytime and anywhere with the access facility to your Wi-Fi devices. So it gets your wireless network to the subsequent height with the most recent technology. It is perfect for optimizing home network with the help of mobile apps. It is also useful to network multi-rooms in a house or home theater. What’s more, it is also suitable for swift Music files and Streaming HD Video. It is again useful for linking multiple users as well as devices like game consoles, Blue-Ray players, Smart phones, tablets etc. Cisco Connect Cloud offers you the latest mode to get connected with the devices in your home. With the help of the Account of Cisco Connect Cloud, you can do multiple of actions. Get Easy Internet contact to set high controls. Plus the recent library apps is now available that delivers quick control of your Wi-Fi devices at home. Linksys EA6500 Wireless Router – AC 1750 Dual Band Gigabit (R6300) features the speediness but the users might have to bring up to date the firmware to arrange the router as it is the most intricate router to set up. Moreover, it requires internet entry to Linksys to set up the router. ‘AC’ standard of the router is not extensively accessible yet. You would have no means of testing it to verify the speeds. Some other features of the Router seem nice, but seem to be limited to many other apps of cell phones. Linksys EA6500 Wireless Router – AC 1750 Dual Band Gigabit (R6300) powered by Cisco Connected Cloud offers you a new experience of home connecting device. With this device you can have an easy access to your own network at home. It allows you to insert a well-suited phone to your own network without even typing your password. Press the button on the router, swipe the “Simple Tap Card” on your phone, and you’re instantly connected.